You have the night off and after a long day (or week) you deserve a relaxing and revitalizing night out. You’re all dressed and ready to leave the house. That’s right: you’re about to leave the house. Unattended. 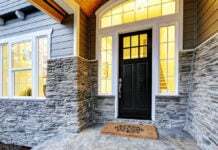 While we all often do this without thinking twice about home security, the fact is, taking a proactive approach to your home security is less expensive than after a break-in occurs. With so many options on the market, how do you choose a security solution that fits your needs without breaking the bank? Yes, some security systems are expensive. 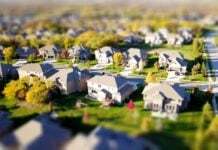 But, what if you could secure your home for the price of dinner for two? Channel your inner ‘Home Alone’, DIY home surveillance from Swann, and you’ll have peace of mind knowing your home is secure. 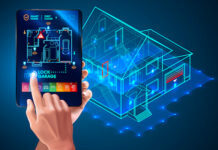 New Smart Home Technology has changed the name of the game. 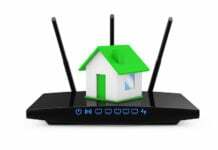 Forget about costly monthly fees and security systems that require professional installation. Instead, you could be the proud owner of a hassle-free home security system for under $100! Our security experts are sharing the best options for every budget so you can protect your home, and your wallet. 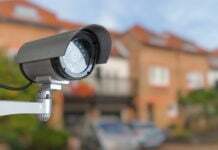 For less than the price of a dinner for two, these security cameras give you peace of mind and eyes on your property 24/7 via remote monitoring smartphone apps. Wire-Free Smart Video Doorbell – Keep an eye on your front door, package deliveries, and answer your door from anywhere with a smart video doorbell. For only $79*, Swann’s Wireless Doorbell stops crime at the door with night vision, two-way audio, and infrared heat and motion sensing. 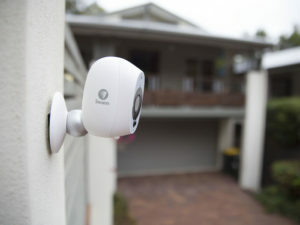 Indoor & Outdoor Wi-Fi security cameras – secure your home indoors and out with compact and discreet security cameras. Both come with free and secure Cloud storage from Swann. The Wi-Fi Indoor Security Camera seamlessly blends into your home interior for only $59.99*. The weatherproof Wi-Fi Outdoor Security Camera comes in at only $79.99*. 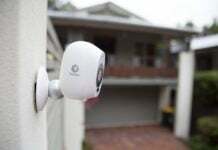 Wire-Free Smart Security Camera – a small but powerful, wire-free, wireless security camera that can be installed almost anywhere and in minutes. Not only is it compatible with Alexa, but the Swann Smart Camera includes all the must have features of top-of-the-line security cameras including night vision, infrared motion sensors, and remote monitoring. For a limited time only, order a smart security camera for only $89.99*. Wire-Free Smart Video Doorbell Kit – upgrade your doorbell with a smart video camera doorbell kit. With 36 melodies to choose from, make home security your own with the customizable features of the Smart Video Doorbell Kit with Chime Unit. Solar Powered Security Camera Bundle – a great wire-free security camera that’s easy to move and install giving you a reliable security camera without the hassle or added expense of running cables. 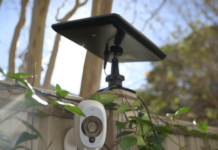 Get your Solar Security Smart Camera Bundle for only $119*! 4k Spotlight Security Camera – Step up your security system with a 4k, Ultra HD security system and keep your property protected 24/7. Not only is do you get the best in video resolution, but 4k spotlight security camera turns the lights on and starts recording with it detects heat. Swann’s 4k PIR Spotlight Security Camera protects your home and wallet with its $169.99 price point. 1080p 8 Channel Security System – Professional-grade, DIY home surveillance that doesn’t break the bank. 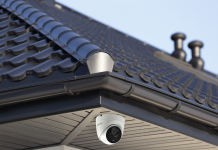 Connect up to 8 security cameras to cover all angles of your home. Grab your own 8 Channel 1080p HD DVR w/ Google Assistant on sale for a limited time at $199*. Upgrade your system to the 8 channel 4k HD DVR for only $379* for the best resolution. 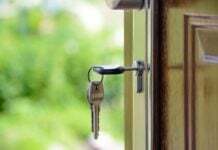 Keeping your house secure has never been more accessible or affordable. Swann Security specializes in DIY home security bringing 24/7 monitoring to the palm of your hand. Shop all of Swann’s Black Friday & Cyber Monday deals for the best savings! *All prices U.S. only and sale prices for a limited time.